I Read Banned Books: Gratitude Giveaway ENDS Tonight! 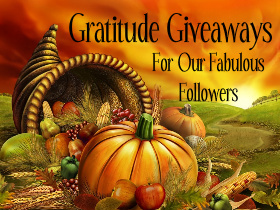 The Gratitude Giveaway Blog Hop ends TONIGHT! There are a ton of great book related goodies up for grabs. Head over HERE for the giveaway on this blog. I have hardbacks of HALO and GIRL PARTS for two lucky winners!